The wine is a blend of Chardonnay and Pinot Noir. The full malolactic style adds a vanilla cream character producing a round and full-bodied wine. After approximately two years on the lees, there are notes of freshly baked bread and pastry that enhances the more fruit forward style of the wine. 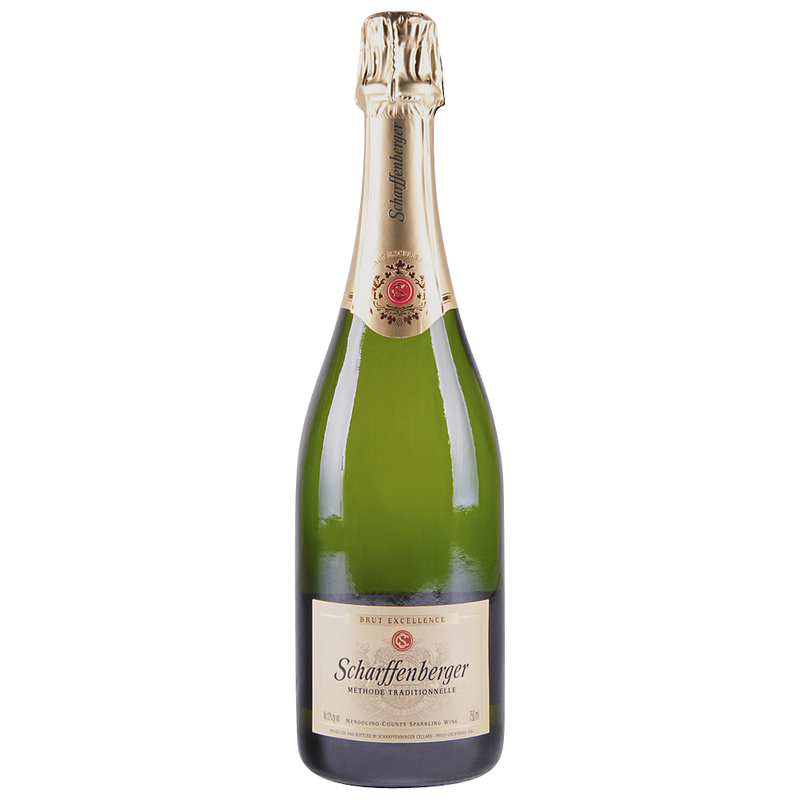 Scharffenberger Cellars was founded in 1981 with the commitment to making ultra premium sparkling wines, which are today established among America's finest. This wine shows amazing complexity, subtle richness, layers of flavor and an ultrasmooth texture. A foundation of fruit flavor is very solid, and the acidity is firm and refreshing. The mouthfeel is plush and the finish lingers, making it a grand wine for a special occasion.